The battle for male and female equality is been longer and longer than journey. And so is the battle for skin color equality which has devoured many decades and countless of centuries. Yet, such menace has not aged or waned in this present era because books and poetry still address the subject. A Google search will come up with countless poetry about inequality such as “In Discrimination” by Gajanan Mishra, “The Damage of Discrimination” by John Westlake, “Discrimination” by Adelaide Rhead, just to mention few. 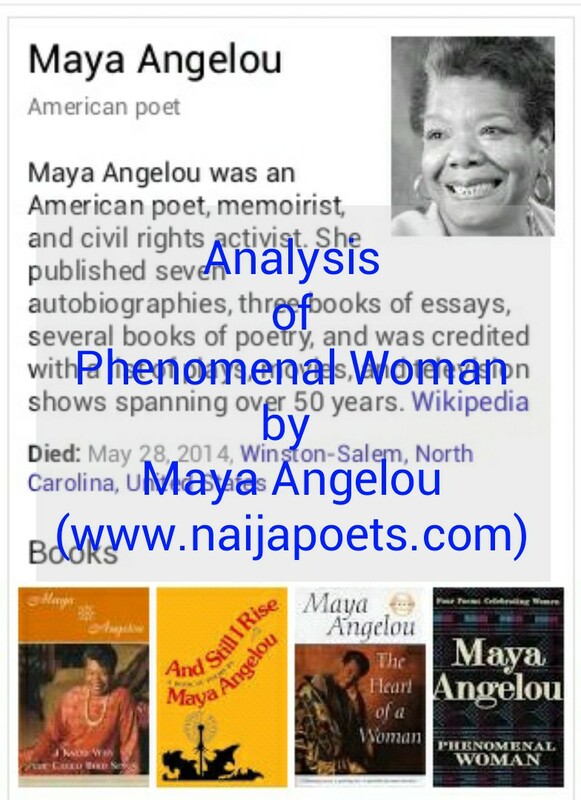 What Is The Summary of Phenomenal Woman by Maya Angelou? 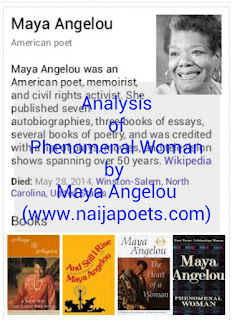 In the poem, “Phenomenal Woman” by Maya Angelou, the poet successfully trampled upon racial and gender inequalities by portraying herself as an immunity. Angelou, in the poem, boastfully painted herself as an unavoidable commodity_ seeing her beauty with Shakespearian eye “Beauty is even more than skin deep”, she saw here carriage far better than the fashion models and described her waist and strike as mesmerizing. The poem is a free verse dominated with refrains and repetition of lines and phrases such as the reoccuring use of of “I say”. Other poetic devices are “the sun of my smile” in line 39 is an alliteration, “it in the click of my heels” in line 52 is an assonance and “A hive of honey bee” in line 20 is both metaphor and alliteration. Are You Keen To Have Comprehensive Knowledge of Phenomenal Woman by Maya Angelou? There is Audio Analysis at Mypo Blog, if you like to listen.